LeadMaster is a CRM tool with sales and marketing features. 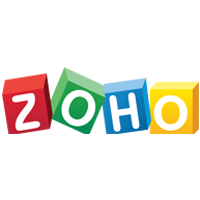 It enables users to perform various tasks in a single integrated platform including leads, sales, and opportunities management, as well as marketing automation, email marketing, and sales reporting. In this article, we covered user reviews and pricing. 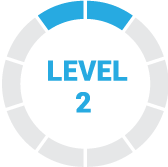 Ready to get started with LeadMaster? Get a free trial. Users who gave LeadMaster a positive review commended certain features such as data management, sales reports, and email automation. They also mentioned that it is customizable and adaptable to unique business processes. One user who gave LeadMaster a positive review on Software Advice said that it allows his team to streamline their marketing outreach workflows with its email automation and prospect tracking features. He also said that its flexibility and customizability enable their team to design it according to their specialized internal processes and workflows. Users who gave LeadMaster a negative review complained about occasional system glitches. Some of them also cautioned new users of the steep learning curve. One user who gave LeadMaster a negative review on Software Advice mentioned that the program has poor system stability, which results to work disruptions and decreased productivity. He also said that the customer support team took weeks to resolve just a minor bug in the system. LeadMaster offers a free option and three paid subscription plans: Small Business ($150/month), Professional ($250/month), and Organization ($500/month). The main differences between the plans are the number of users supported, contacts, and free emails per month, as well as the availability of premium features such as lead and opportunity management, marketing automation, & sales team reports. Ready to get started with LeadMaster? Get a free trial. What industries does LeadMaster cater to? 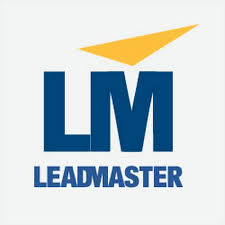 LeadMaster is specifically made for the following industries: call centers, education, healthcare, insurance, manufacturing, mortgage, real estate, and general small businesses. What features are included in LeadMaster’s mobile app? LeadMaster’s mobile app has marketing automation tools that capture, track, distribute, and engage leads. It also has other capabilities such as email marketing and campaign management. Not sure if LeadMaster is the right fit for you? Read our reviews of all top CRM software or check out one of these three LeadMaster competitors. Nothing since I was familiar with it.